Though the online medium is very popular to learn and build skill in today's world, sometimes we indeed need the hard copies of the subject material to read and re-read. Do you have several practical questions and doubts in your Software Testing life? Don't know how to get them solved? You are now at the right place to get all your questions solved easily by referring to this list of Software Testing books. A list of best software testing books that you can refer to develop and brush your knowledge & skills in the software testing field is explained here. Also, in this tutorial, you can browse through various popular books on software testing and Quality Assurance. All the books are mostly available for purchase on Amazon and that too at a discounted price of up to 50%. #5) Software Testing Career Package – A Software Tester's Journey from Getting a Job to Becoming a Test Leader! A list of top-ranked books in the field of Software Testing is explained briefly for your easy understanding. Author: Glenford J. Myers, Corey Sandler, Tom Badgett. The First Edition of this excellent book was published in the year 1979. 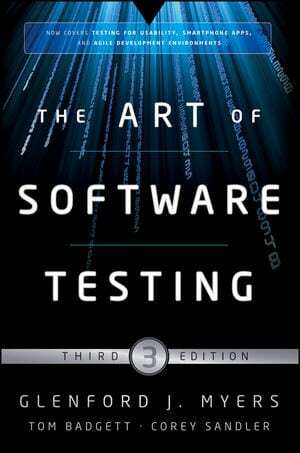 The Art of Software Testing, Third Edition provides a brief but powerful and comprehensive presentation of time-proven software testing approaches. If your software development project is mission critical, then this book is an investment that will pay for itself with the first bug you find. Some best topics which are available in this book are Psychology of software testing, test case-design, testing in agile environment, internet application testing and mobile application testing. This latest edition includes testing of mobile apps running on different platforms like iPhone, iPad, and Android. It also includes testing of internet applications, different websites especially for e-commerce and agile testing environments. 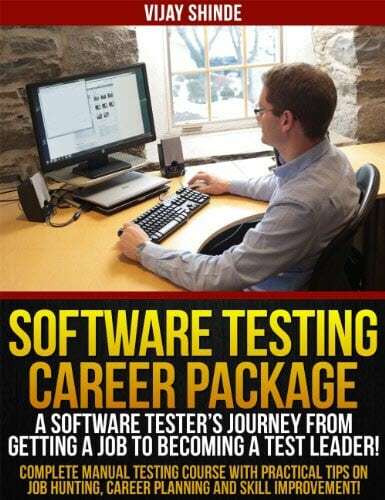 If you are a student who is looking to make a career in software testing or if you are an employee working in IT industry and wanted to grow in the testing, then this is the best book for you. The first edition of this book was published in Nov 2000. This book provides a practical insight into the area of software testing and quality assurance. It tells the processes and techniques that would be helpful to do effective software testing. The latest edition also includes a chapter about testing software for security bugs. The entire content of the book is divided into six sections which mainly talks about the testing background, fundamentals of testing and everything from web testing to security testing, compatibility testing, and automated testing. The chapters are written in a very clear & concise way and the content is simple to understand too. It is a great buy for those who are new to the field of software testing and for those who want to develop skills before entering the real project work. The first edition was published in the year 1995. It applies a strong mathematics content of the previous editions to a coherent treatment of Model-Based Testing for both code-based (structural) and specification-based (functional) testing. These techniques are extended from the usual unit testing discussions to full coverage of less understood levels of integration and system testing. The appendix of the book also provides the documents that are required for sample use case technical inspection. The fourth edition also has a section of software testing in an Agile programming environment. The book very well explores the test-driven development. It is a great buy for those (be it a developer or a tester) who want to stay up to date with the emerging technologies in the field of software testing. In contrast to the traditional approach to software testing, this book teaches an applied approach to software testing. Rather than relying on the rigid testing plans, this book allows the testers to think off-script and develop intelligence & insight in testing. It will make you think out of the box while testing the software. It also emphasizes automation for repetitive testing tasks. This book gives very good examples of the actual bugs that we find in our everyday software. It’s a great buy for those who want to gain practical knowledge of testing and for those who are working on desktop applications. This book talks about handling our day to day software testing activities. It provides a lot of real-life examples and practical information that will make you understand the software testing techniques easily and achieve excellence in this field. Along with the practical context, the theoretical concepts are also covered with key methodologies, techniques and tips & tricks of software testing. This eBook is designed to be used as the primary textbook and an all-in-one resource for software test engineers and developers. Basically, any person who steps into (or want to step into) the world of testing can refer to this book. The first edition of this book was published in the year 1982. This book explains how to do effective test design as testability is as important as testing itself. It illustrates different testability guidelines and shows how these techniques can be applied in unit, integration, maintenance and system testing. It has a special chapter that gives details of the functions of the designer as well as the testers and then gives the strategies for both. It also gives information on the prototype, design automation, research tools and test execution. This book takes the reader from the basic levels of software testing to the later stages of it. Be it a programmer, software engineer, software tester, software designer or the project manner, this book is a good buy for all. It clearly defines agile testing and illustrates with examples of the tester’s role within agile teams. This book tells you about using Agile testing quadrants to figure out what testing is required, who can perform the testing and what tools can aid in it. It also explains the 7 key factors of successful agile testing and assists in completing the testing activities in short iterations. Reading this book will also help you to overcome the barriers to test automation. It is worth buying for those who are into QA profile and for people working on Agile projects. This book gives a comprehensive, up-to-date and practical introduction to software test design. It presents all the important test design techniques in a very clear format. Reading this book will take you towards cost-effective testing. It gives multiple case studies and examples that will let you easily understand the testing techniques. Few of the best topics in the book includes pairwise testing and state transition testing. It is a useful handbook for test engineers, developers, quality assurance professionals, requirements & systems analyst. It can also be referred to as an academic course at college-level. This is a book that you must have if you are learning or working on software test automation. This book covers all the major test automation concepts. It highlights the principles for good automation script, the comparison between a good and bad script, what type of tests should be automated and how to choose the right tool for automation in this book. This book also includes some case studies and other important topics that are required to learn test automation. This book covers a lot of automation framework type issues. It explains beautifully about what actually should be automated. It gives a complete insight into planning, implementing and managing the automated testing. A sample automation project plan that is given in the book is also very useful. It focuses on the data-driven testing framework, automation of unit testing, integration testing, and regression testing, and usage of automated tools for manual testing. You can preview this book at Google books. Click here for more details about this book. We have also added some more useful links to software testing books in the below section for you to explore further. #19) Manual Testing Help eBook – Free Download Inside! Hope this list of top best Software Testing books will be helpful to you for selecting a right manual or automation testing paperback book or kindle ebook to improve your knowledge in Software Testing.